Brought to us by IMMORTALS director Tarsem Singh, SELF-LESS tells us the story of Damian (Ben Kingsley), an extremely wealthy businessman who purchases the pro-longing of his mind through the neurological concept of ‘shedding’, whereby a person’s mind can be saved and preserved in genetically produced human tissue. 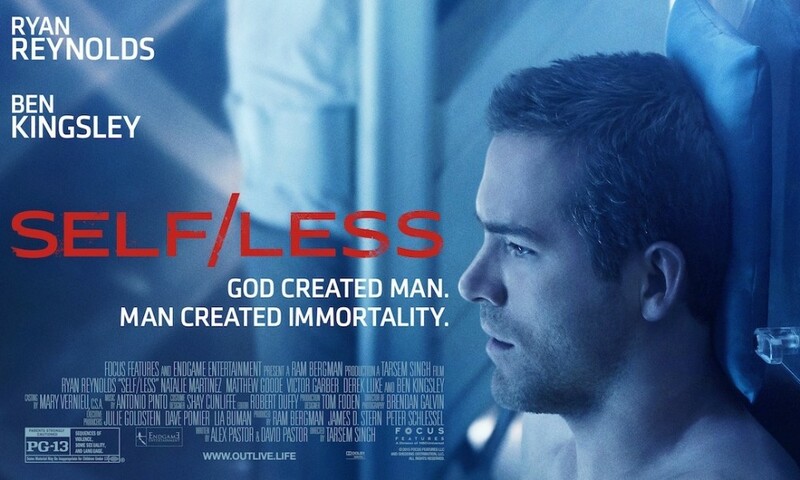 However, when the procedure is complete and his consciousness has been transported into the young and healthy body of a laboratory experiment, things around him are not quite what they seem and the new and improved Damian (Ryan Reynolds) uncovers mysteries behind the procedure and the corporation in charge. Now, after you have managed to get your head around the above synopsis, you are allowed to attempt to watch this film without getting confused yourself! The best way to summarise SELF/LESS in three words is; intelligent, complex and intense. It stretches the viewer’s capacity to think outside the box whilst entertaining you with just enough action to keep this in the thriller genre. Personally, opposed to the likes of neurological thriller LUCY, this film has the perfect balance of action and depth, and unlike many who see this as a shambles of a feature, I thoroughly enjoyed it. 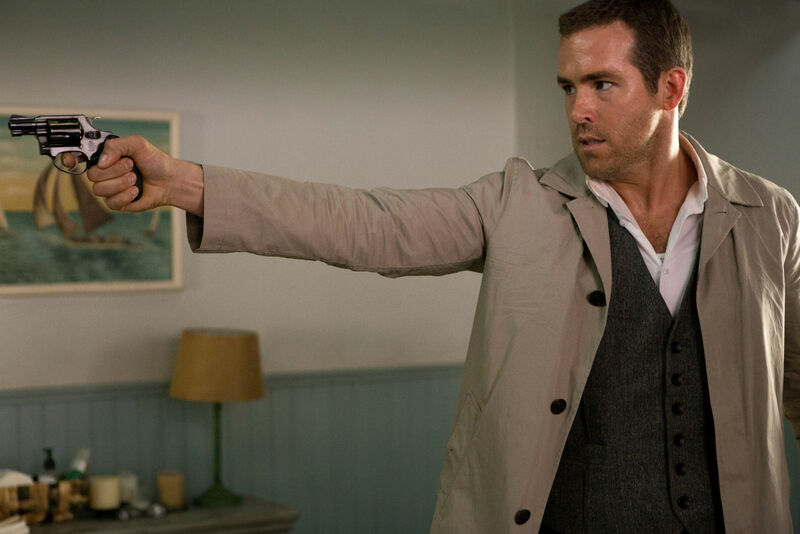 Although I would have liked to see more of Ben Kingsley in this film (as the trailer suggested a large involvement from the Oscar winner), Ryan Reynolds is a favourite of mine lately and he portrays the role of a scared, confused and tense young Damian very well. He is also supported by a good supporting cast, including END OF WATCH’s Natalie Martinez, THE IMITATION GAME’s Matthew Goode and the brilliant Victor Garber (TITANIC, SLEEPLESS IN SEATTLE). All put in credible performances and, along with a decent score from Dudu Aram and Anotonio Pinto, they helped keep the intensity of this story alive throughout with minimal dragged out scenes. The twists and turns in this film are most likely what give it its levels of excitement and tension, and although the plot line does whimper at times, something happens which grabs the attention again and keeps the viewer as confused as the man leading us through the story. 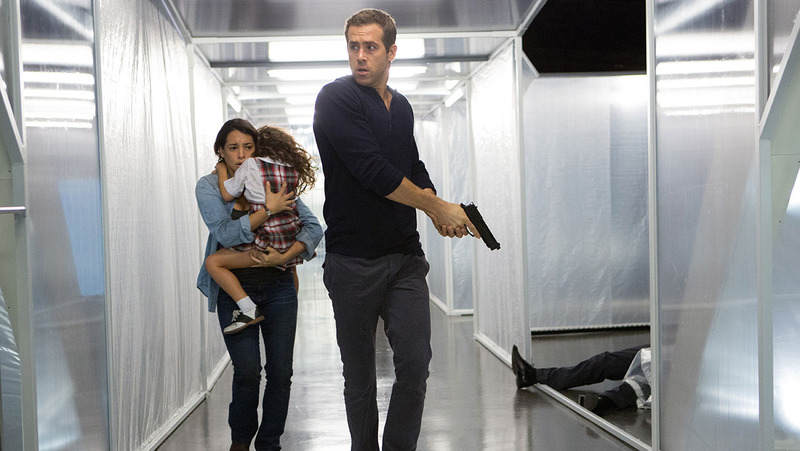 Overall, I believe SELF/LESS has been very harshly criticised since its release. It is far from being a perfect psychological movie, up there with the likes of SHUTTER ISLAND and even films such as LIMITLESS, but it is a very good attempt and manages to keep one entertained throughout the entire two hours. Recommendation: Out of most cinemas now, but worth a rental or an amazon instant video watch (I can imagine it being one of those unfortunate to go straight to instant video).